Reading, practice and interpretation of vernier scale in fractional inch - simulator in 1/128"
The vernier scale is a technological device that increases the sensitivity of a scale to subdivide the lower division of it. In this simulator the vernier scale (rectangle below the scale) has eight spaces between the vertical lines. 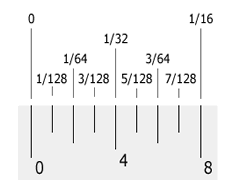 It divides by eight the 1/16in, which is the smallest division of the main scale (1/16in / 8 = 1/128in). 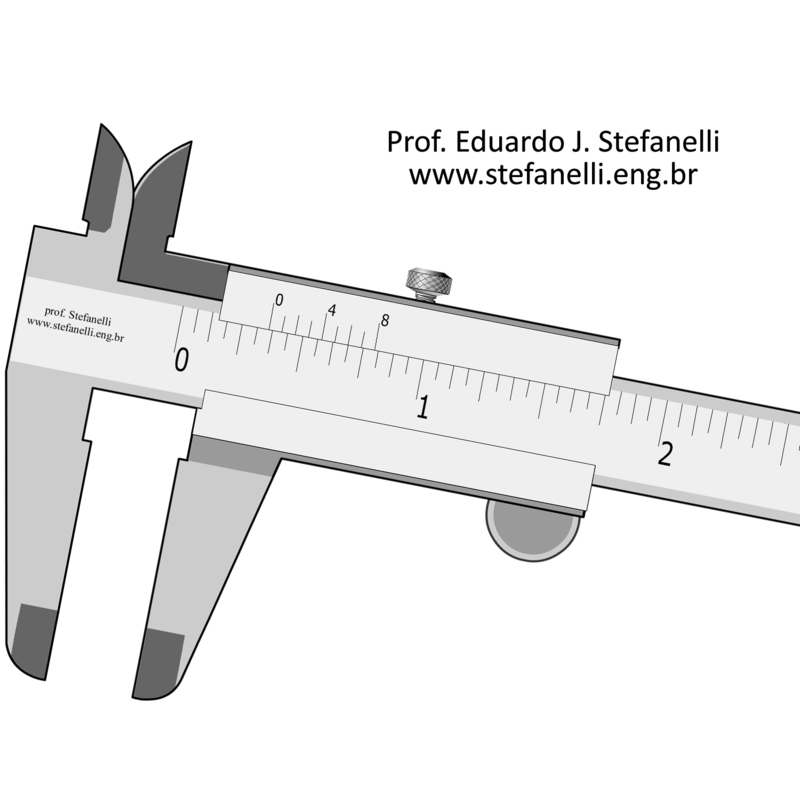 In this simulator, the vernier scale is below, which slides under the main scale. The main scale is graduated in fractional inch (this means that inch (1in) is divided in half ( 1/2in ), each division is further divided in half ( 1/4in ) and so forth ( 1/8in , 1/16i n , 1/32in …) as far as the vision acuity allow -figure 1. The vernier scaler has eight divisions. He divides the smallest division of the main scale for eight (1/16in / 8 = 1/128in) -figure 2. 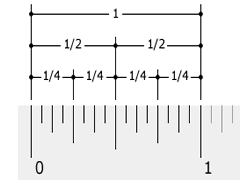 The mark of the vernier which align with a mark of main scale indicate the (sub)division of the measure -figure 3. The action taken on the vernier must be added as the main scale (marks left of zero (0) of vernier) -figure 3. Reading is very simple -figure 3 Note that the zero (0) of the vernier coincides with one of the marks of the main scale reading is direct. If the zero of the vernier does not coincide with a mark of main scale (is between two), the main scale: some inches to the entire value of the fraction on the left of the zero mark of the vernier to the value of the vernier marks are aligned (phew). In the example of figure 3.